Cybele Bush Haven is a secluded oasis in the bush for people to unwind and relax. We cater for two people only at any one time. Mudgeeraba is 5 minutes to Robina and central to all of the Gold Coast with its myriad of beach and hinterland attractions. We supply breakfast hampers and complimentary wine on arrival and are ideal for romantic inclinations with quality furnishings throughout. The large private deck includes a spa and far infra-red sauna and massages can be arranged with prior notice. Wildlife abounds in the area and there is a large garden complimentary to the natural bush; all is quiet and peaceful and we would love for you to enjoy it. What a beautiful location! Absolutely stunning surroundings and everything you could wish for inside. Tim was a wonderful host. Would highly recommend! 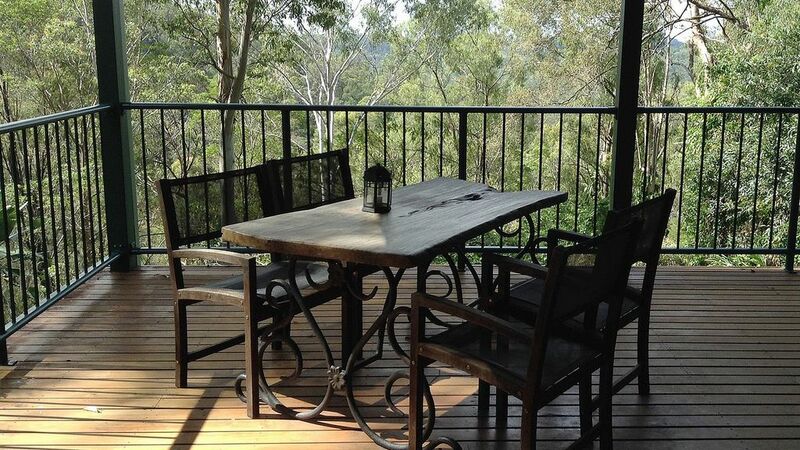 A beautiful tranquil place to recharge, bird songs and beautiful bush surrounds . A truly lovely place , thank you for sharing it with me . I will most certainly be back ! We thoroughly enjoyed our stay. Very private and comfortable. Thank you Tim and Thelma for sharing your amazing home. A wonderful wee Paradise away from the Coast and yet a stone's throw from everything. So peaceful and private. What a beautiful way to spend the start of 2018. We will be back!! !